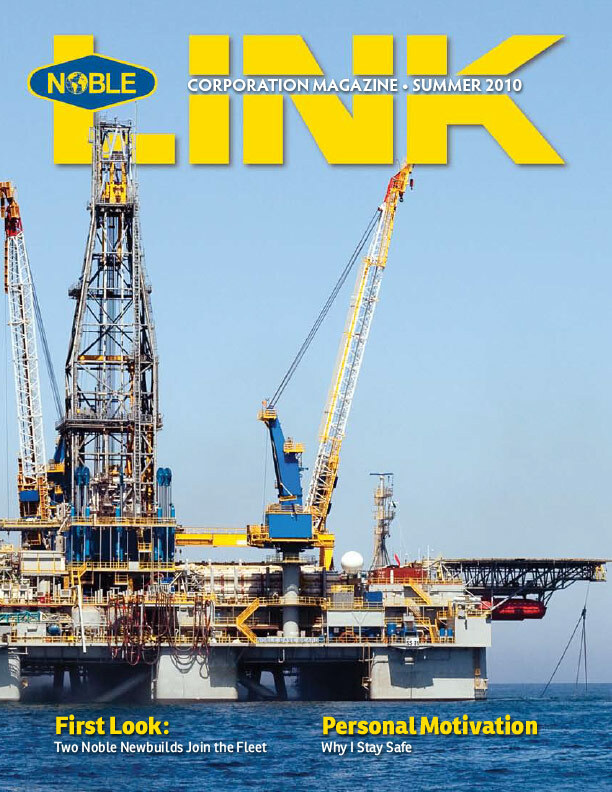 Past editions of the printed Noble LINK magazine are available here as PDF files to view and download. 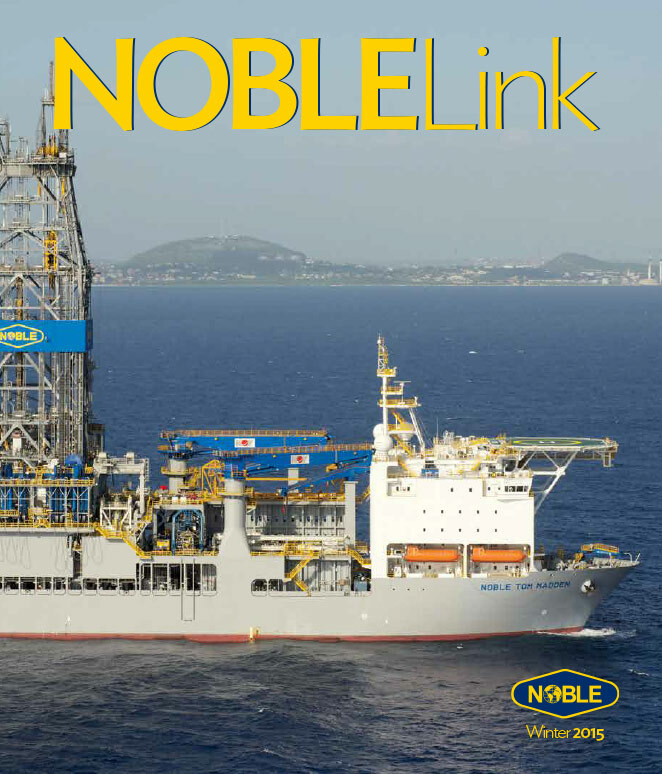 Stories include a unique rig move journey, Noble's Rigging & Lifting procedures and minimizing downtime in procurement. Stories include the Multi-Purpose Tower rigs, the importance of Noble's core values and winners of the employee photo contest. Stories include a summary of rigs new to the fleet, the OneNoble initiative and and introduction to the JU-3000 rig design. 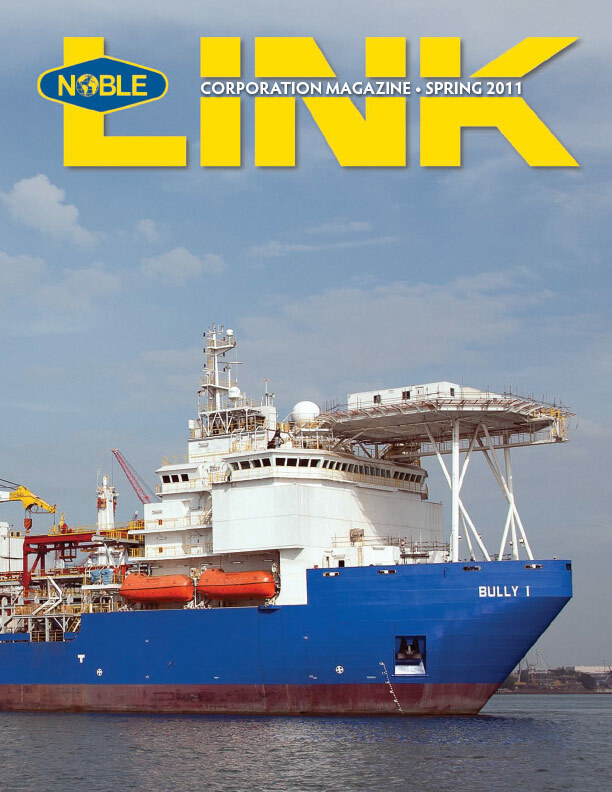 Stories include recent awards won, learning about the role of a rig manager and an introduction to dynamic positioning. Stories includes awards won from the IADC North Sea chapter, the importance of safety barriers and lessons in leadership. Stories include progress on the JU-3000 jackups, operations in Australia and business continuity planning in the Gulf of Mexico. Stories include emergency preparedness training, two semisubmersible join the fleet and the dangers of distracted driving. Stories include the 30th anniversary of the Noble LINK, a day in the life of a driller and the refurbishment of a historic Noble plane. Stories include a profile of the Learning & Development center, the Noble Lloyd Noble and advances in medical care offshore. 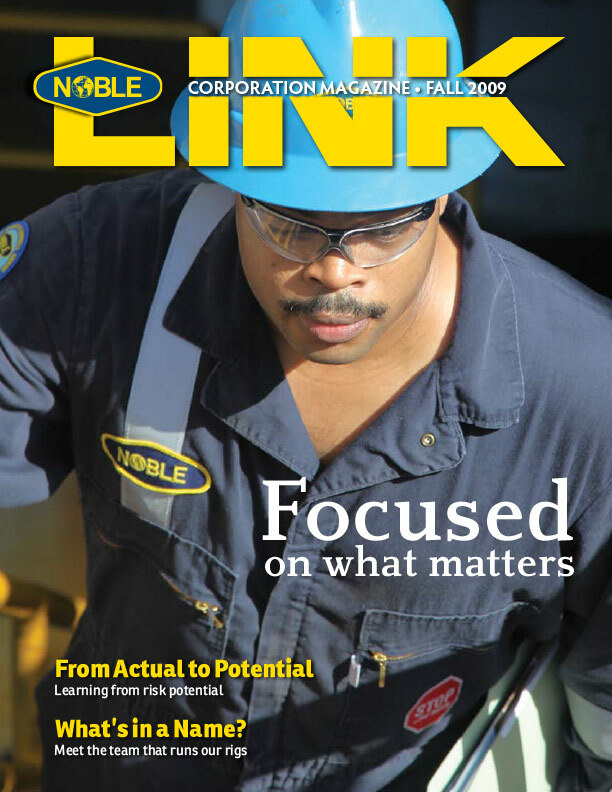 Stories include updates on rigs in the shipyard, a profile of the subsea team and how process safety is being integrated into the industry. Stories include record drilling times, an overview of positions on the rig and the importance of hearing protection at home.